Tomokazu is a small Japanese restaurant in the San Francisco Airport. The restaurant is located in the international area after security. You can order food to go, but they are also a full service restaurant. I was glad to see that it wasn’t just a prepackaged sushi/bento box kind of place. I don’t like eating greasy food before flying, so the chicken udon seemed like a good light option. This soup was simple and basic, but it was better than I was expecting. 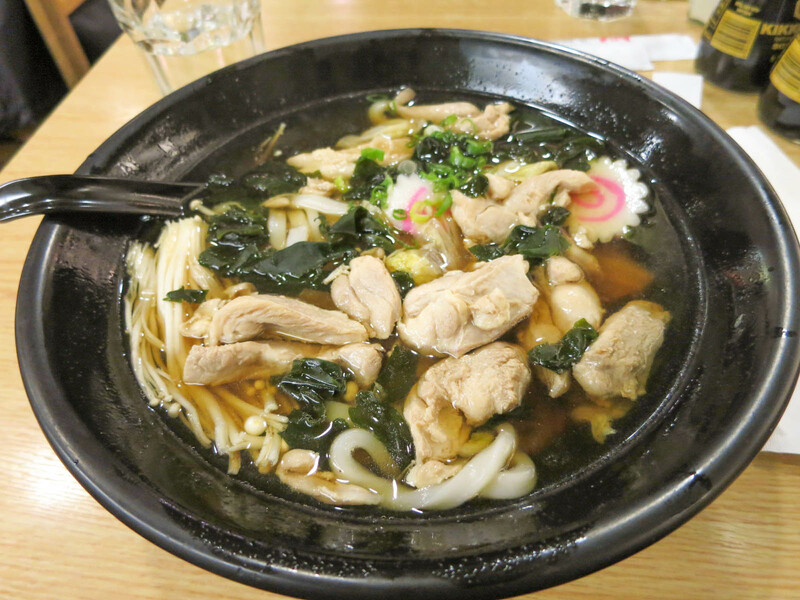 The broth had a clear salty flavour and there were plenty of chewy udon noodles. The chicken got a bit overcooked from sitting in the broth, but oh well. I enjoyed my soup and it was exactly what I was craving. This place won’t wow you, but for airport food it is decent. Their menu is pretty simple, but I appreciate the fact that the food comes out hot and fresh. Yes, for a decent meal in the San Francisco Airport.